Once, and you may well not believe it, I was a loyal and upstanding warrior of good (Ok the Eldar being good is subjective) collecting a rather vibrant green Eldar army for quite some time. 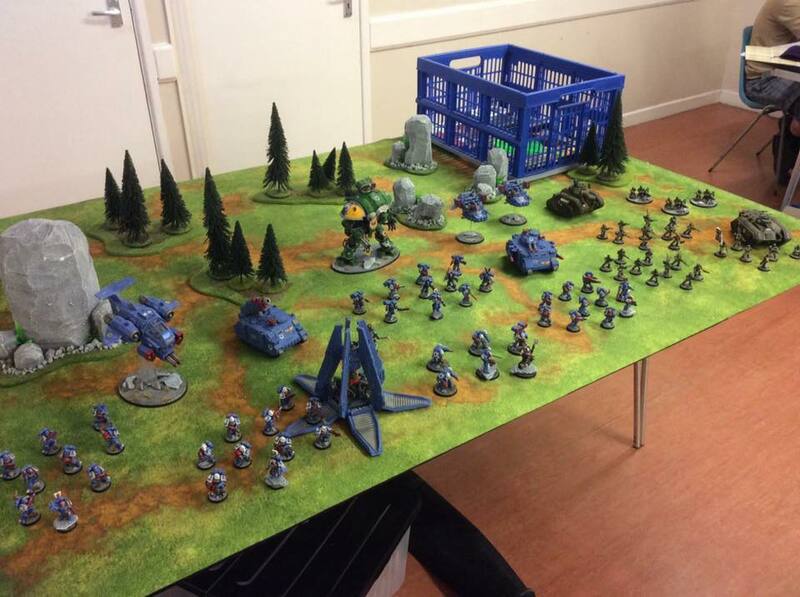 Before that I had collected many Space Marine armies and had a special place in my heart for the glorious Ultramarines. After I left Games Workshop I found myself much more motivated to come home from work and crack out the brushes and I decided to revisit my love of that most glorious chapter and paint myself an Ultramarine army in its classic vibrant colour including proper yellow trims for the second company! From there I was captured by the variety available to an imperial force and Guardsmen, Grey Knights and a Knight Warden all followed. 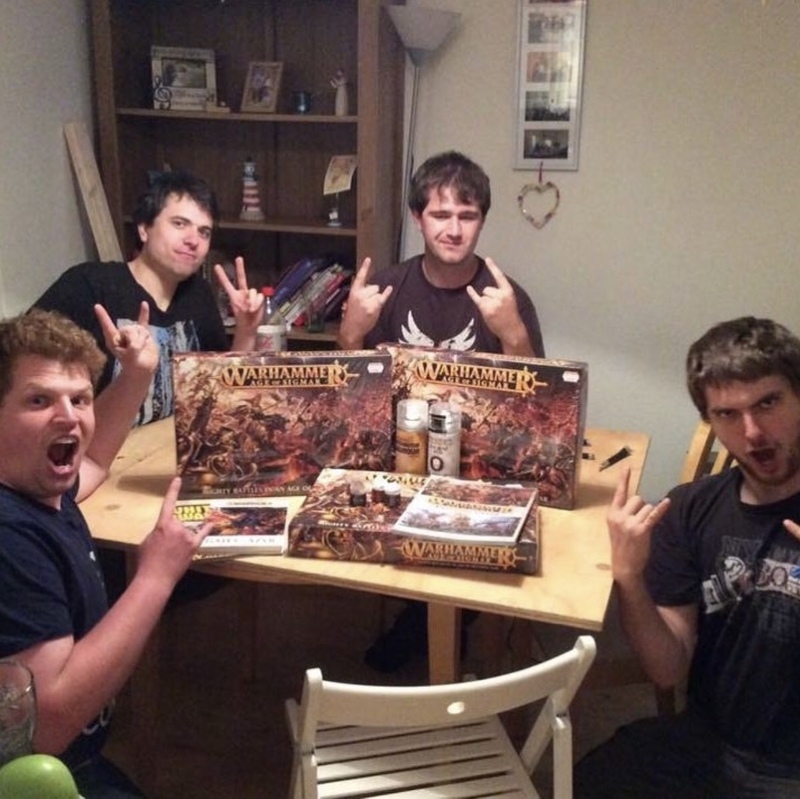 The Stormcast were (and still are) everything I could want. Glorious heroes clad in plate and armed with weapons forged by a god. I could not wait to unleash my Stormhost and cast down the dark powers, except for one issue, no one was collecting those Dark Powers. I looked to my fellows, pleading them to take up the mantle of the foe and yet they too were captured by Sigmar’s creations and thus the seed of heresy was sown. I would do it, in the name of the greater good I would be the protagonist. 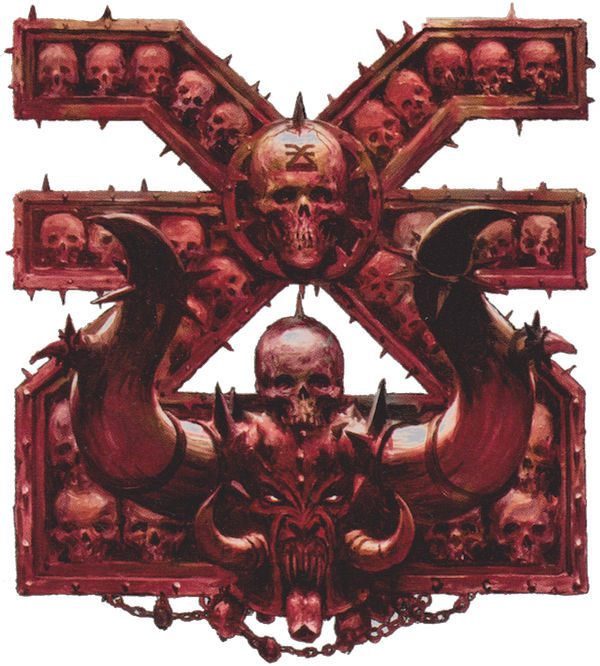 Of course with Khorne in the box it just seemed sensible to start there and as time went on and there was no sign of another taking up the burden more and more followers of the blood god had to be gathered to face the armies of light. They had too right? I mean I had to give those armies something to fight, it was my duty, my sacrifice. Surely I cannot be blamed for slowly, steadily beginning to enjoy it. The vast model range presented to me, the eye catching blood and gold, the power of the lord of skulls. And of course if I had them for AoS it was simple sense that meant I began to collect them for 40k. I was driven to this darkness and yet the true powers have not left me stranded! Chaos has embraced me and I could do nought but embrace it back. Look not to the gods of order, death or destruction for salvation for they are weak! Your Emperor is nothing but a corpse!